Product code: 491 Categories: Sold Items, Sold Watches, Watches. Here is a very sweet watch made in a wonderful square 9ct gold case. 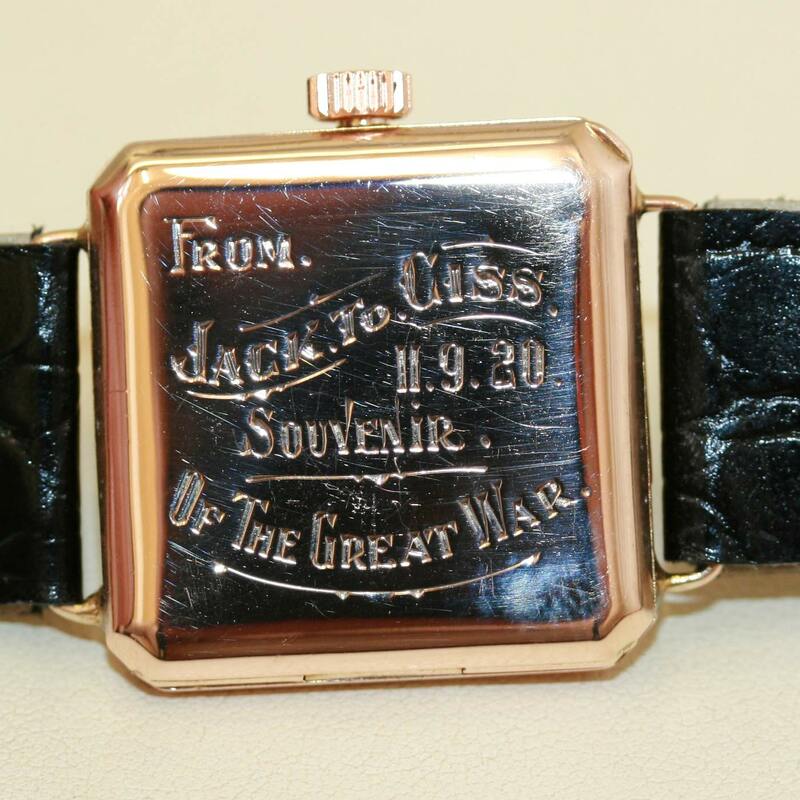 Retailed by Saunders, and presented in 1920 as a souvenir after World War I, it has a great piece of history attached. The case measures 2.7cm square, and the white enamel dial measures 1.8cm making it so dainty. 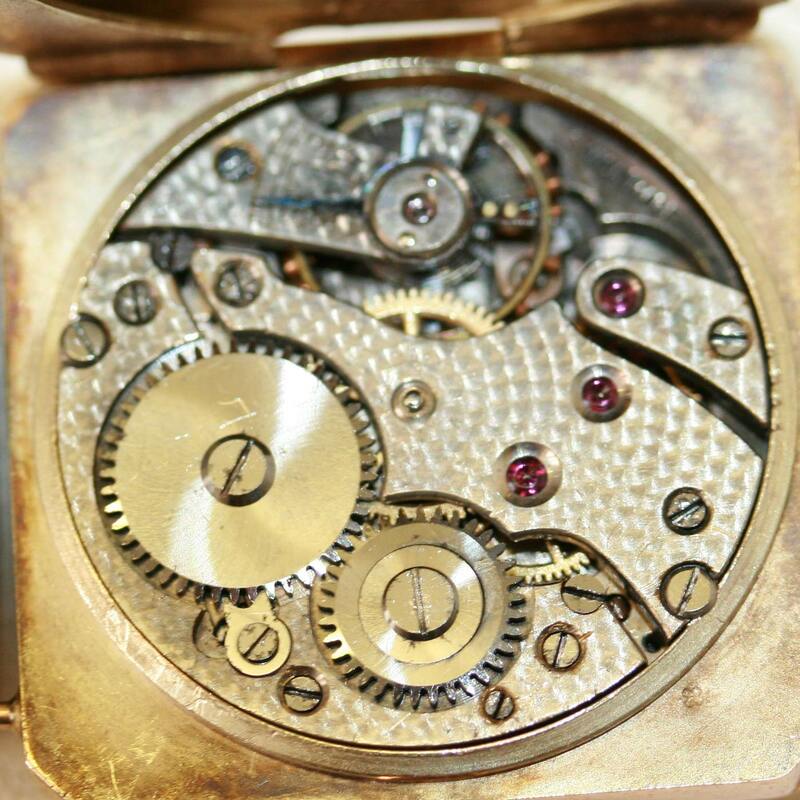 The fully jewelled Swiss movement has been serviced and runs perfectly.